The countdown is on, y'all! Just one day stands between us and Thanksgiving, so I hope you've already hit up the grocery store for your necessary ingredients. To round out my Thanksgiving blog posts, I wanted to finish up with some Thanksgiving appetizer inspiration. When you're making a turkey, ham, mashed potatoes, green bean casserole, pumpkin pie, etc. you don't exactly have time to work on a time consuming appetizer. 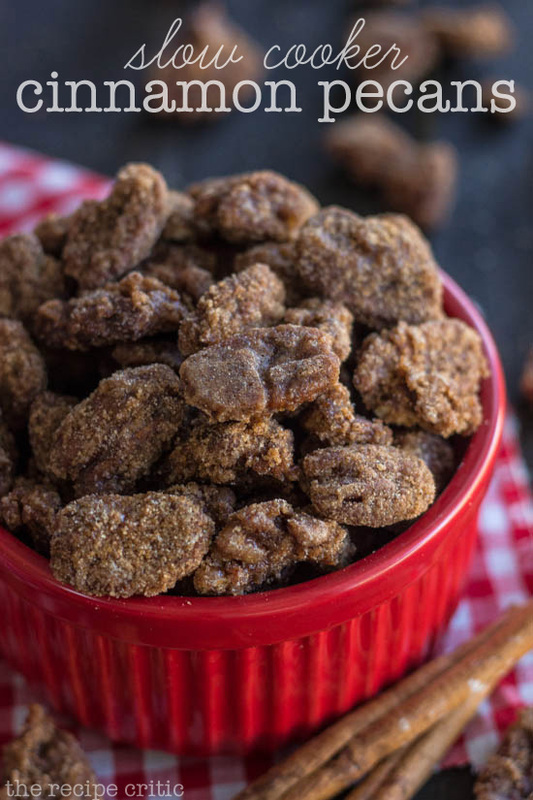 So here are the few that I've selected, whether you're bringing just the appetizer or need to squeeze something extra in while you're whipping up the whole meal. This is a great recipe to put together (mostly with ingredients you'll already have on hand!) and you can leave it in your crock-pot while everything else is cooking. They're so yummy and they make your house smell delicious! This is another yummy slow cooker recipe! Can y'all tell I'm a fan of them? This is the cheesiest, tastiest, yummy dip of them all. I love the fact that you can use tortilla chips, bread, or even veggies so if the store is out of one then you've still got several other options for dippers. These are great for making ahead so if you've got the ingredients tonight, go on and give it a try, or make it early in the morning and pop them in the oven Thursday before the guests arrive. This is definitely a bit more fancy, but I think everyone would enjoy it! Plus, how much more festive can you get than cranberries?! I hope y'all enjoyed this roundup and I hope y'all have the happiest of Thanksgivings! I didn't know you could make spinach dip in a slow cooker. This is really cool! OMG is there anything better than brie and berries? I think not. I can't wait to try that recipe! 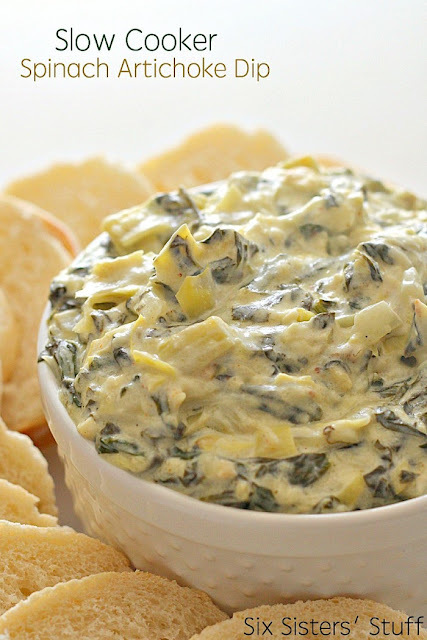 Ok I need to make that spinach and artichoke dip immediately. It looks so yummy...and that turkey veggie tray is too cute. Seriously loving all of these! Artichoke dip is my FAVE, I could eat it all day! 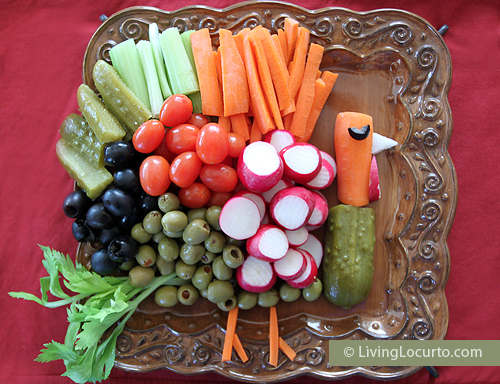 How cute is that vegetable turkey! Everybody at my office would go nuts over that. I do baked brie all the time - so tasty. I'm so excited to eat for thanksgiving! These look delicious! That artichoke dip looks to die for! Also adoring the veggie turkey - great idea! The spinach artichoke dip sounds SO delicious! I'm bringing Cranberry Sauce, Mashed Potatoes, Peas, a Pound Cake, and a Camembert appetizer. I love holidays that center around food! Yum! This all looks so delicious! Definitely want to try the spinach artichoke dip! So excited for Thanksgiving tomorrow! 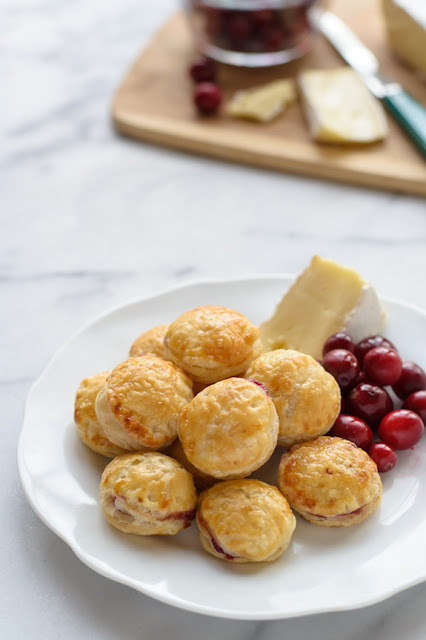 Ummm.... cranberry brie pasteries sound like something out of a dream. YUM. This is so ironic - I'm making that slow cooker spinach and artichoke dip for a Christmas party that I'm having in two weeks. It sounds so good. That brie pastry looks amazing! Hope you had a wonderful Thanksgiving weekend!